Caponata is a Sicilian dish made with chopped fried eggplants, vinegar and a sweet and sour sauce. 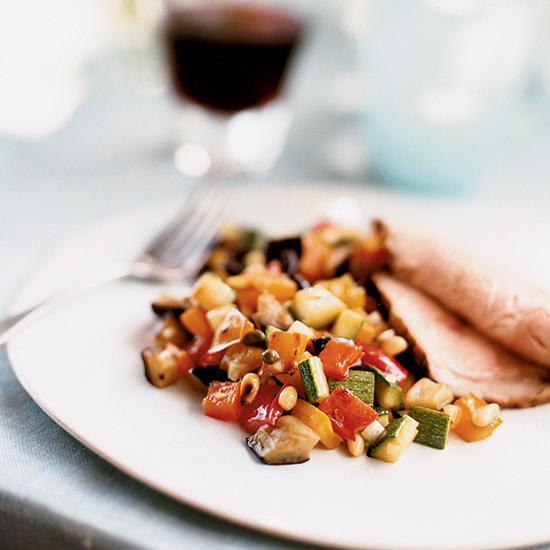 Here, our best caponata recipes, from an agrodolce caponata to a grilled fish with artichoke caponata dish. 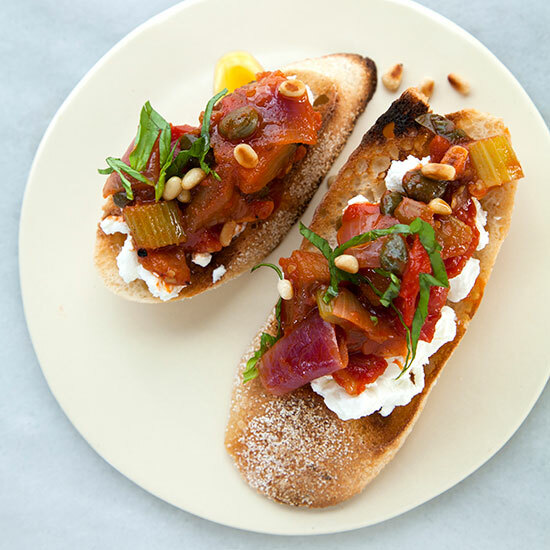 Caponata is a fantastic eggplant-based relish that's extremely versatile and delicious as an accompaniment to just about everything. 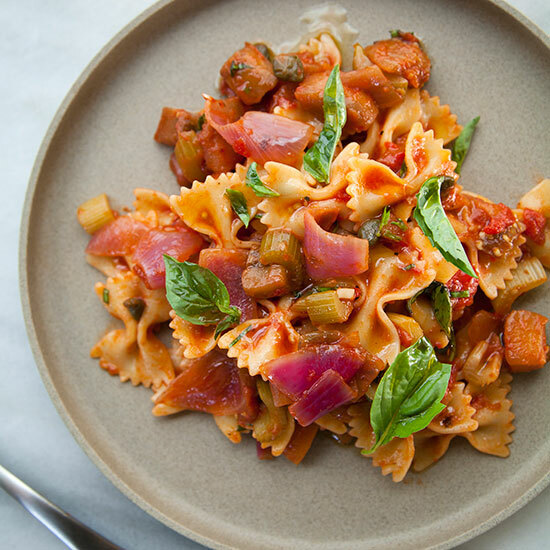 Here, it's prepared with a touch of pasta water to make a fabulous sauce for this farfalle. This luxurious eggplant based relish is a delicious accompaniment to a wide range of meats and fish. 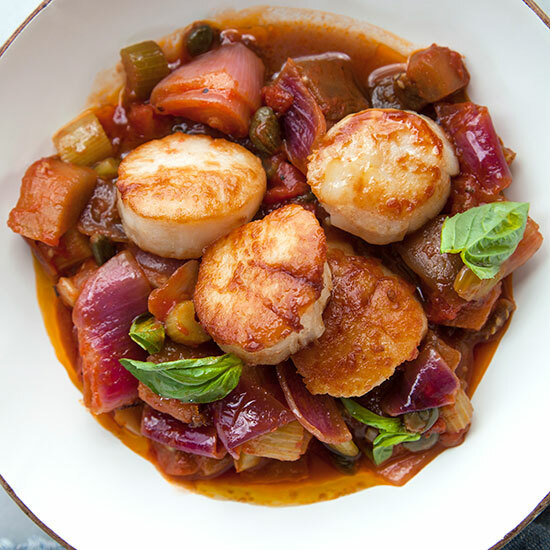 Here, the caponata is topped with seared scallops. Serve warm or at room temperature with torn basil throughout. 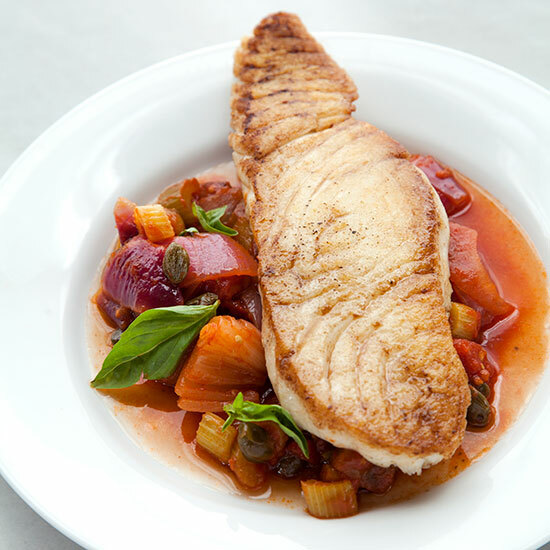 Sergio Sigala uses an intense sweet-and-sour reduction of white wine vinegar and sugar to flavor his version of the classic Sicilian vegetable medley, caponata. He cuts the vegetables into small pieces, which explains the diminutive name. Andrew Zimmern's agrodolce (sweet-and-sour) caponata cleverly combines silky eggplant with blanched celery for appealing crunch. 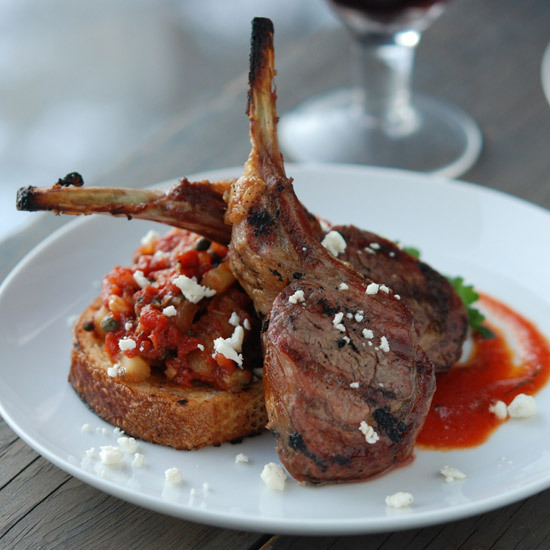 Bright and briny olives and capers help cut the richness of fatty meats, like lamb. 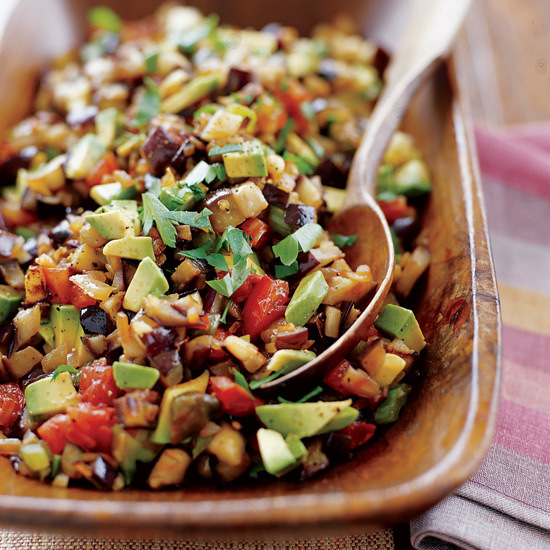 Sicily's caponata is a tangy eggplant salad served as a side dish or appetizer. This version adds bits of velvety avocado, full of monounsaturated fats that can help lower cholesterol. 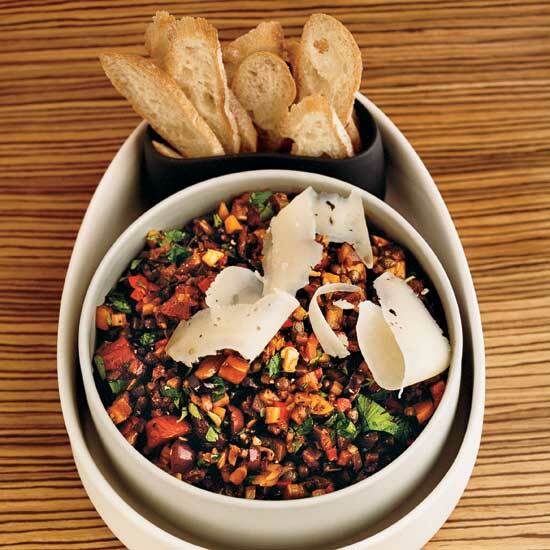 Andres Barrera's version of caponata, the tangy Sicilian eggplant dish, mixes in olives, zucchini and yellow squash and is topped with shaved Asiago cheese. This eggplant based relish is a delicious accompaniment to just about everything. It's like a Sicilian version of ratatouille and best served with a wide range of meats and fish, on toast, or used as a sauce with pasta. This eggplant-based relish is fantastic with fish. 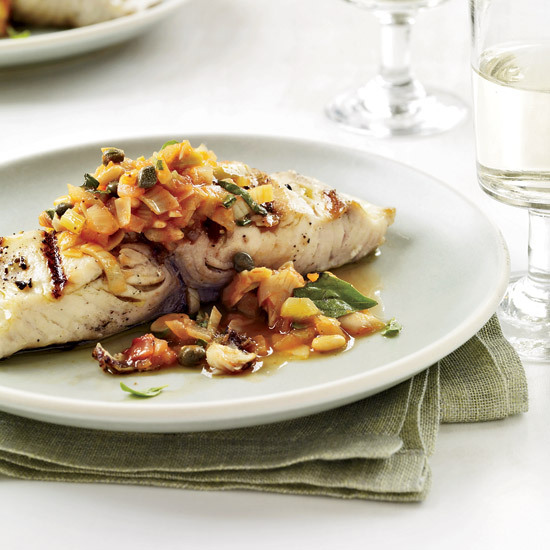 Here, sweet and tangy caponata is the perfect accompaniment--its bright and briny flavor cut through the richness of the meaty halibut fillets.